A romantic, drama film starring Alessandra De Rossi and Ivan Padilla, directed by Dodon S. Santos under the production of Viva Films. Released last November 8, 2017. A heartfelt story of a couple undergoing the ups and downs of marriage. Anton (Ivan Padilla) and Erika (Alessandra De Rossi)are married for 12 years, each struggles they overcome and how they hold into their marriage. Ivan committing a lot of mistakes and Erika on the other hand is deeply hurt by his husband resulting of losing her own self their marriage. The film is realistic and natural. All couples can really relate and realize worth of love is. 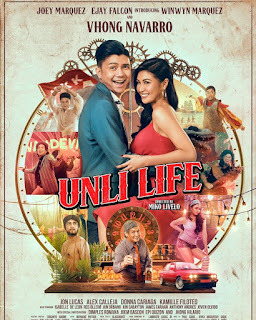 It is not your conventional romantic-drama movie.I recommend this film for all couples out there.The lead roles genuinely showcased all meaning lines thus an effective drama resulted. It showsthat love has a deeper understanding and respect comes with it. Tear jerking and touching film.